Gas Prices: Lessons From The Carter Years In response to the rising cost of home heating oil, President Jimmy Carter suggested Americans wear a sweater and turn down the thermostat. That message, political consultant Tad Devine says, did not go over well. What plays better, he says, is empathy — the path President Obama seems to be taking. 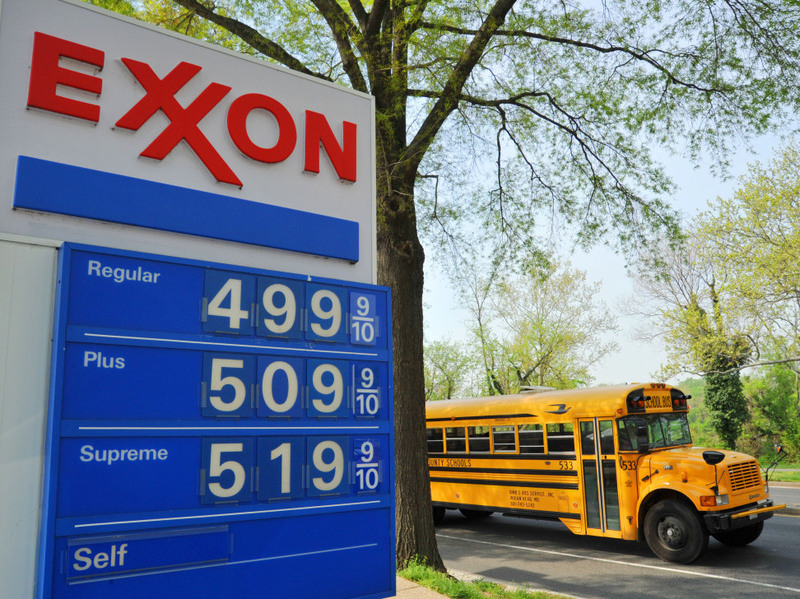 Gas prices in April in Washington, D.C. reach $5 a gallon. Oil and gas prices are a perennial bane for American presidents. The cycle is familiar by now — they go up, the American people get angry, and they blame the man at the top. "It's so visible in our lives," political consultant Tad Devine tells NPR's Linda Wertheimer. "Now, through pervasive television coverage, through the Internet and everything else, people are so aware of how much it costs and how quickly it's rising." "There's growing demand around the world for petroleum products," Devine says. "China, India — these economies, which are emerging as gigantic competitive economies, are going to rely on petroleum as a principal source of energy." "As a result of that competition, I don't think there is going to be pressure for [petroleum companies] to cut the price," he says. "I think there's going to be pressure to raise the price. So we're really in a fix here." Though there is little a president can do to change that reality, the price at the pump can have real political consequences. Devine saw this first-hand, working on the campaign to re-elect President Jimmy Carter in the late 1970s and early 1980s. He recalls Carter responding to high home-heating oil prices by encouraging Americans to wear a sweater and turn down the thermostat. The response, Devine says, was not positive. Americans didn't want to hear from their president that the problem was them, using too much oil and gas and driving up the price. "People saw in him someone who was not on their side in this fight," Devine says — and that perception is believed to have been a major factor in sinking Carter's re-election campaign. What a president can do, Devine says, is empathize. This week, President Obama announced his intention to create a task force to root out fraud and manipulation in the oil and gas industry that could be contributing to higher prices. Devine says this approach is fundamentally different from the one taken by Carter. "It's evidence that the president wants to pick sides in this, and the side that he's going to pick is the side of the consumers. Not oil companies, Wall Street speculators," he says. "It's, I think, potentially a very powerful symbol."